We come to the help of the companies with high quality cleaning services for chairs, sofas and armchairs. The activity in your office area, the high number of employees or their daily frequency lead without a doubt to the deterioration of the furniture. The aspect of the chairs, sofas and armchairs suffers the most from intense traffic and their state is continuously deteriorating. You no longer need to protect your sofas with cases, covering the pattern for which you have chosen them. The cleaning services offered by Piontani Services will help you keep clean the items of furniture and prolong the duration of their use. Chairs and sofas become vulnerable not only to surface stains but also because dirt can be incorporated in the depth of the fibers. Even if it is not visible to the naked eye, periodical and efficient upholstery cleaning becomes an aesthetic and, at the same time, hygienic issue. As in the case of carpets and rugs, chair, sofa and armchair upholstery can become a place of bacteria development which can affect the health of the employees operating in the work spaces. Give up the traditional water and brush cleaning of the upholstery. This is not an efficient means of cleaning and can damage the fibers in the fabric or their colour. 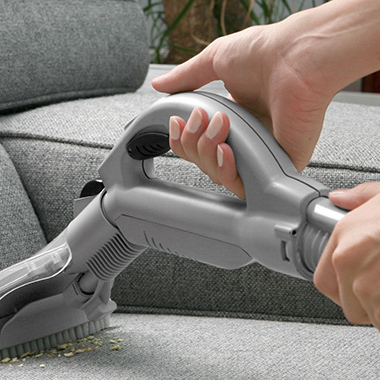 The Piontani Services cleaning firm takes action to clean the chairs, sofas and armchairs with standardized cleaning products and equipment, using the injection-extraction technology. The stains, the dirt, the bacteria and the unpleasant smell will disappear and your furniture will be in mint condition. Piontani Services guarantees quality services and offers cleaning subscriptions adapted to your requests. Please contact us for a customized quote.